It is no secret that Britain is a nation of sweet lovers. So what better way to appeal to a wide audience and to promote your brand or business than with promotional sweets? 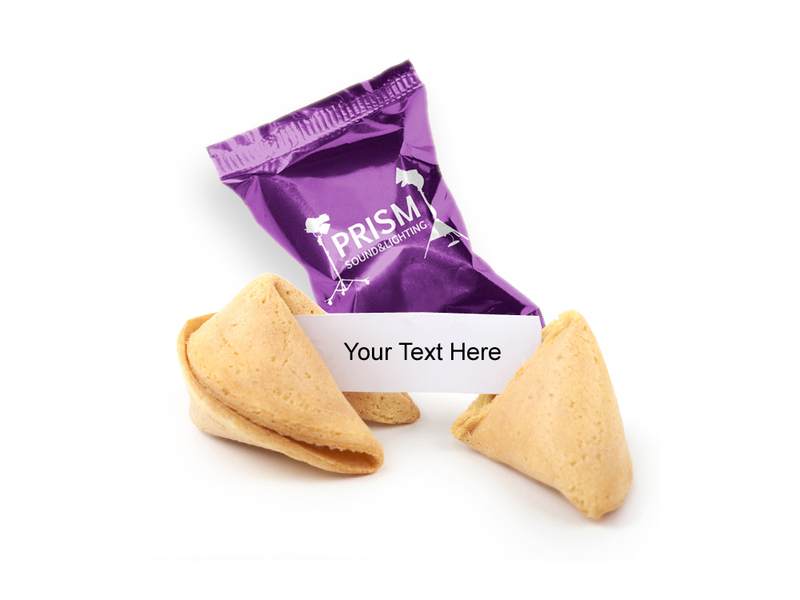 Not only are promotional sweets highly effective, but they are a unique and fun way to ensure that your brand stands out from the crowd and is remembered by customers and clients. With ever increasing technology and constantly improving marketing techniques, its becoming harder and harder to ensure your business stands out from the crowd. Here at Keep It Sweet we have hundreds of various promotional sweets in a huge variety of shapes and forms, to suit every brand and every budget. Not only do branded sweets taste delicious, but they are a brilliantly unique way to ensure you are one step ahead of your competition and are a cheap and easy way to build a great image for your brand. In fact, it’s scientifically proven that by using senses, brands can forge emotional associations in customer’s minds by appealing to their senses, meaning people are more likely to remember your brand and associate it with good things. Why not further these good memories by choosing sweets that will bring back fond memories that they will associate with your business? For example, Chocolate Coins are some of the most iconic sweets of all time and are most often associated with Christmas. Take somebody on a trip down memory lane and fill them with nostalgic memories of the sheer excitement of Christmas morning with branded Chocolate Coins – everybody loves them! Not only will you brighten their day with these chocolatey delights, but from now on they will associate your brand with the joy and happiness of the festive season - from only 3p per coin, it is money well spent. Promotional sweets are also the perfect tool to attract potential customers and clients at events and exhibitions. 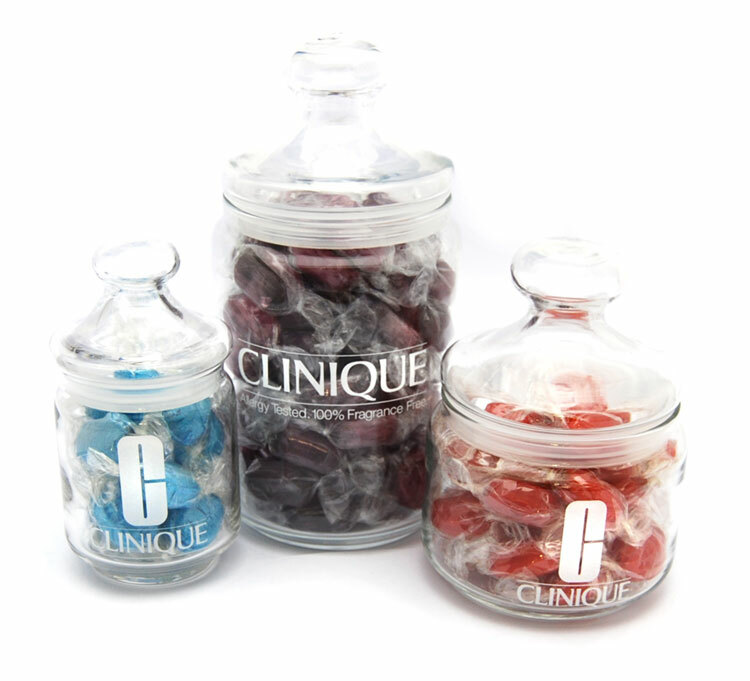 Branded Glass Sweet Jars are the perfect way to display promotional sweets to catch people’s eye and entice them over to your stall. Jars can be filled with most sweets from our huge selection and are available in a variety of sizes to suit every budget. Boiled Sweets such as Lemon Sherbets, Chocolate Limes and Strawberry and Creams are popular for giving away at corporate events as they are cheap, can be individually wrapped and are bright and colourful to make your stall stand out over others. Why not go the extra mile to impress and fill these traditional jars with Customised Boiled Sweets? Choose the flavour, colour and wrapping yourself to create a truly unique sweet that can’t be copied. Alongside freebies and promotional sweet giveaways, we also have some fantastic sweet staff incentives that are sure to boost office morale and ensure to add a bit of excitement to the meeting room. Retro Pyramids are the perfect bite sized token of appreciation to treat staff with. Containing some of the most popular retro sweets around - including Parma Violets and Black Jacks, there is something for everyone to enjoy inside this sugary pyramid that is sure to help get over the mid-week or mid-year slump! Amongst these products we’ve also got hundred of other promotional sweets and corporate sweet products on offer - alongside providing large quantities of sweets for events, film sets and many other occasions. View our full range of promotional sweets here and don’t hesitate to get in contact with any ideas or queries.